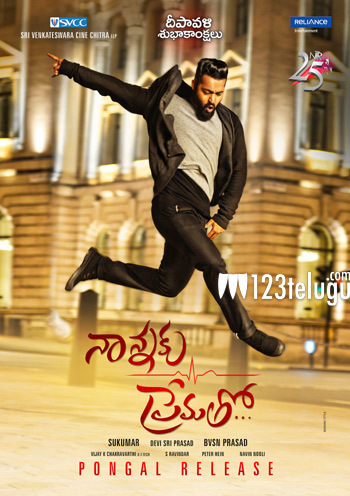 The latest Nannaku Prematho poster which was unveiled a short while ago has created a huge storm on social media. NTR’s stylish look has caught the imagination of many and built up the hype for the film big time. Right from its inception stages, this project was in the news regularly. The lavish locales and big budget production give you an insight of what is in store for the audience. Directed by the very talented Sukumar, this film has Rakul Preet as the female lead. BVSN Prasad is the producer and Devi Sri Prasad composes music.